CENTRAL Queensland has been ablaze this week with fires erupting across the region in Yeppoon and Rockhampton. 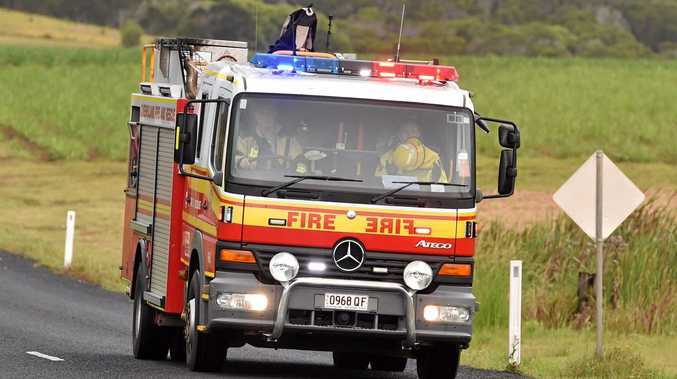 Two crews yesterday were at separate fires at Kunwarara battling blazes. A fire emergency crew was working on putting out a vegetation fire on Eden Garry Rd and Kunwarara Rd. The crew arrived at 3.06pm. Meanwhile, another crew has been at Stanage Bay Rd since 2.20pm containing fires near a rail corridor. Earlier yesterday a vegetation fire covering 10-15 hectares of forestry was also burning at Stoney Creek Rd, Byfield. HQ Plantation crews were at the site and the fire has been contained to the forest area. A fire in inaccessible land at Carnarvon National Park has also been burning during the afternoon. Queensland Parks and Wildlife Service was monitoring the fire, which was expected to burn for a number of days. Meanwhile, a bushfire that broke out at Mount Chalmers last week is still ongoing with emergency fire crews regularly assessing the area for potential risks to neighbouring properties. The QFS spokesperson said a fire crew attended the scene yesterday morning and also underwent checks overnight. "Last night they were out there doing patrols to make sure the fire stayed within containment lines,” the spokesperson said. "There's no threat to any properties but there was a fair bit of smoke yesterday. A 50x10m roadside vegetation fire at Pink Lily was also reported Monday night with one fire crew and one support vehicle attending the scene at 9.25pm. The fire was extinguished with water by 10.20pm. Crews stayed on scene to clean up and wet down the area. A patrol also assessed the scene this morning and found no further risks. A crew was also called to a small grass fire near Berserker on High St near Aquatic Place at 9.50pm Monday night. Fire-fighters extinguished the fire within five minutes. Another small grass fire was also attended at Parkhurst on Boundary Rd and McLaughlin St just after midnight. Queensland Police Services also attended the scene. Crews extinguished the fire by 12.20pm.